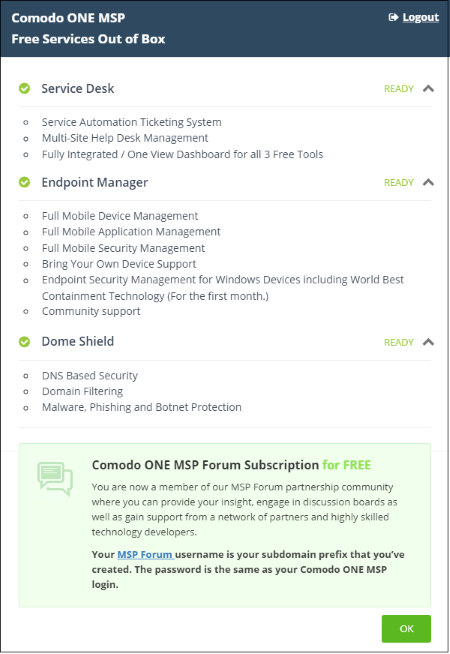 Getting a Comodo One account is very easy and can be completed in a few steps. 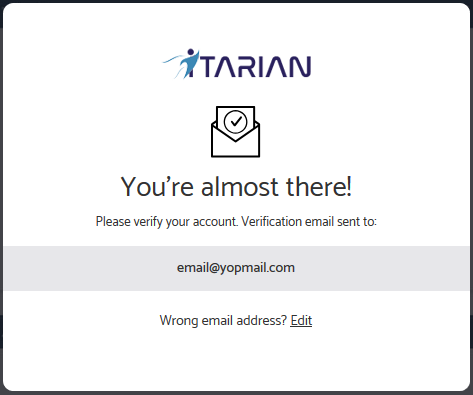 Email Address – Email Address - Pre-populated with the address you provided in the previous step. 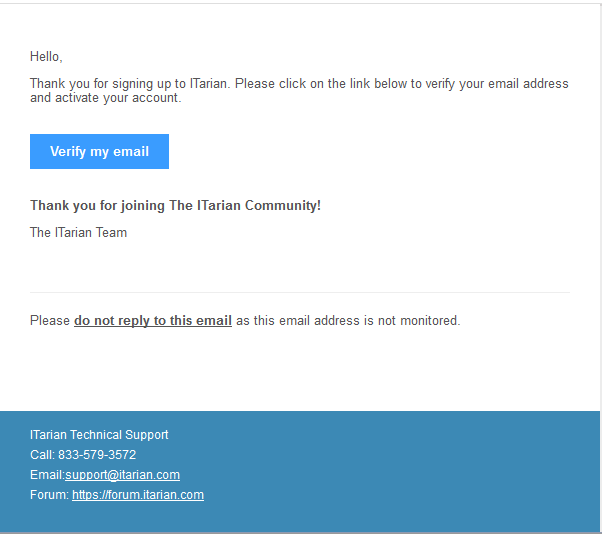 You will receive the verification link to this email address. 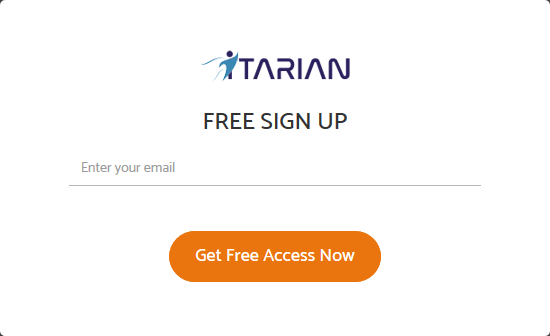 Click the 'Get Started Now' button. 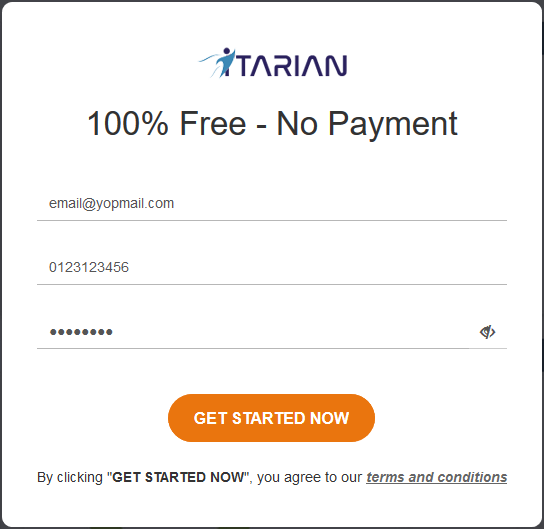 Complete the form with your business type and sub-domain details to finalize account setup. Business Type - This determines the version of Comodo One that you receive (either 'MSP' or 'Enterprise'). The default and licensed products vary according to the business type. Click the 'Compare Business Types' link to see the products and features available with each type. See Appendix	for more details on C1 modules for each business type. 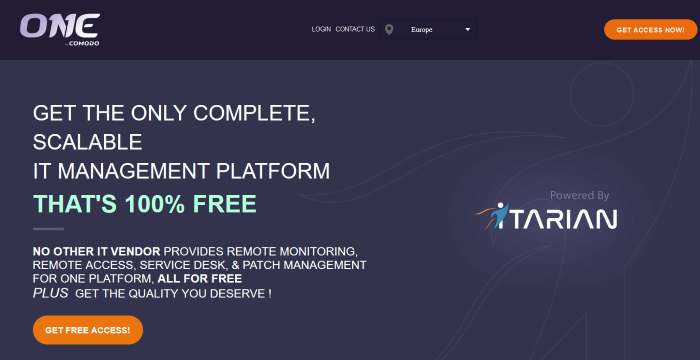 Subdomain/Company - The sub-domain will form part of the unique URL you use to access modules such as 'Service Desk'. 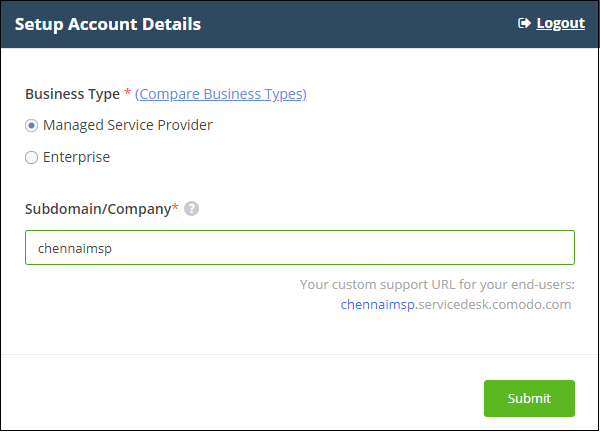 For example, if you enter the sub-domain 'acme', you will access the service desk module at 'https://acme.servicedesk.comodo.com'. That's it. You have successfully created a Comodo One account. Note - This account will be automatically granted 'Account Admin' privileges and cannot be deleted. You will be able to create 'Admins' and 'Technicians' under this account. See 'Manage Administrators' for more details. 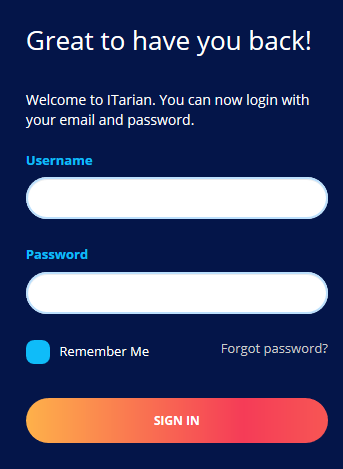 You can login to your account at anytime at https://one.comodo.com/app/login. You can also login at https://accounts.comodo.com/	with your C1 username and password to manage your license and account details.